Good beer is fresh beer, drink local! 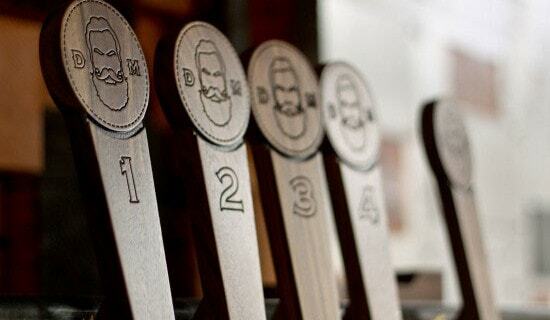 Dangerous Man Brewing serves up a constantly changing selection of brews in their NE taproom. Filled with interesting wall art and interesting people, it’s a great spot to stop and grab a brew. There is a small parking lot behind the building. Street parking is available along both NE 2nd St. and 13th Ave NE. There is a 2 hour parking limit on NE 2nd St until 6pm so be sure to make note of that if you park along there. Spend your money on great beer rather than a parking ticket. Yes but limited. Currently they sell 20-30 growlers a day, 1 per customer. Getting there when the taproom opens is your best bet. Sometimes. At times Dangerous Man will have a local food truck setup inside the taproom, though they don’t have them parked outside like you find at the other NE breweries. You’re welcome to bring your own food in or order from their neighboring takeout spots. For more information on Dangerous Man Brewing, checkout their website.